We worked with designers at Chatsworth House to produce them a carpet bed to be proud of. Chatsworth were having a fashion event to celebrate five centuries of fashion at Chatsworth and commissioned us to produce their event logo. The final choice of design was to replicate the logo six times across each carpet bed. 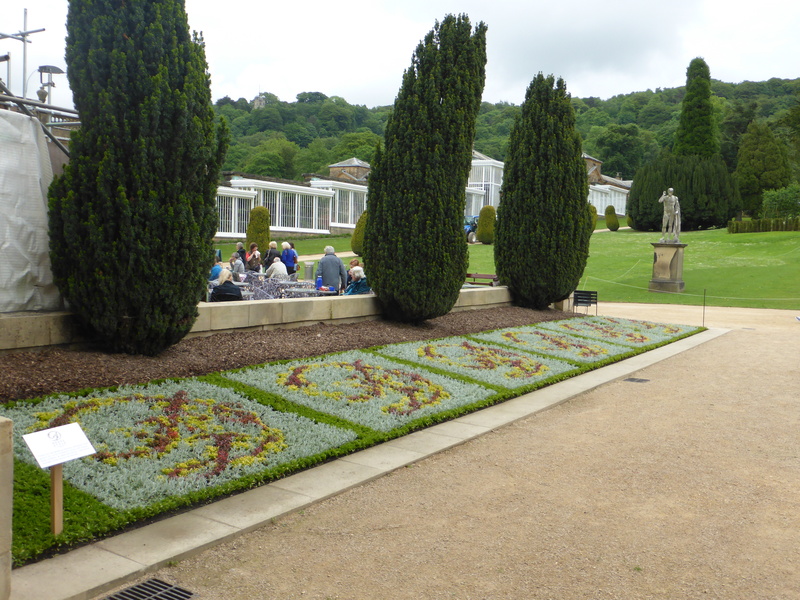 The carpet bed was installed within a day by a team of gardeners and Chatsworth was delighted with the display. Visitors enjoyed the display all summer.